The Woman’s Association is pleased to announce its 15th Mansion in May Designer Showhouse and Gardens at Fawn Hill Farm in Harding Township, New Jersey during May of 2010. Proceeds will be directed toward the $25 million expansion of the Emergency Department at Morristown Memorial Hospital. Last renovated in 1993 with a capacity to serve 50,000 patients per year, the Emergency Department is now approaching 80,000 visits per year with a 4% annual growth rate. 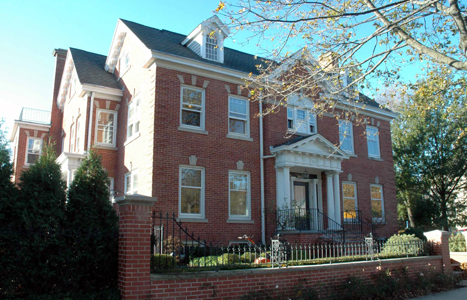 WAMMH’s Mansion in May is our signature fundraiser and also our most profitable event, generating over $5 million for Morristown Memorial Hospital since its inception in 1974. Over 18,000 visitors attend the Mansion during the month of May. The Junior League of Detroit focuses on elevating the lives of children. Our trained volunteers fundraise and use our financial resources to initiate and participate in community-based collaborative partnerships that work to broaden the educational, cultural, recreational and health opportunities for children in the city of Detroit. Nestled within 100 acres of rolling pastures this magnificent working equestrian farm is home to the 2010 Bucks County Designer House & Gardens. The stone-and-stucco farmhouse features a 1780s summer kitchen and an exceptional master suite. Additionally, there are extensive grounds with stables, a charming three-story jockey cottage and a swimming pool. Tour two newly constructed houses - The "Pops House" and the "Philharmonics House," located next to one another in a setting that includes a landscaped walking trail. Gothic and stick-style architectural elements are evident at the property, which is actually a combination of two separate houses. The rear house was built in 1830 and was moved from Lafayette Street, while the front of the house was added in 1880. Enos Williams is credited as the architect and builder. The cottage is named after Frederick Fairthorne, who was one of the original owners of the property along with his business partner, John C. Bullitt (Cape May’s mega-developer of the Victorian period). Welcome to the home of The Camden Garden Club in Camden, Maine, as well as the page for it's famous Annual House and Garden Tour. Held on the third Thursday in July since its inception in 1947 the Garden Tour has become so popular that many tourists plan their vacations around it. Included on the 2010 tour will be admission to the first Decorator Show House in mid-coast Maine. Responsible for the beautification of the Camden as well funding special projects, scholarships, and holding annual horticultural programs, Camden Garden Club invites you to read more about their organization and all the work they do. 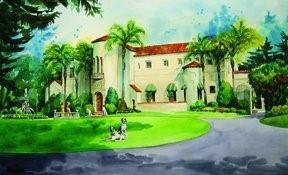 The Museums of Old York will hold its 21st annual Designer Show House in 2010! 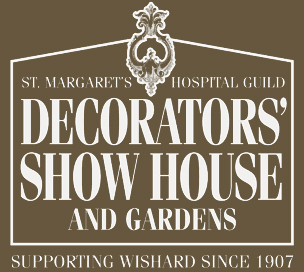 The Show House will run from July 17th through August 14th and will be open to the public Monday, Wednesday – Saturday, 10 a.m. – 5 p.m., Thursday until 7 p.m. and Sunday, 1 p.m. – 4 p.m. It is closed on Tuesdays. For more information about this incredible event, related programming or ticket purchases, please call (207) 363-4974. The 2010 Marin Designers Showcase is a magnificent 8000 square feet Georgian Colonial "Rosegarden", located on 1.5 acres of park-like grounds in the Country Club area of San Rafael. The home was built in 1929 on five acres for the family of David H. Walker Jr. It was styled after an estate in Annapolis and reminiscent of Old Williamsburg. The home was designed by Eldridge "Ted" Spencer, who was also a participating architect for Stanford University's buildings and the Ahwahnee Lodge in Yosemite. When the Walker family moved into the house, the estate consisted of the house, an orchard, stable, guest quarters, chicken houses and a special three-story fort with a subterranean entrance. This Arts and Crafts style residence totals over 3500 square feet, comprising a glorious 4 bedroom, 3.5 bath home with 4 fireplaces and a completely self-contained 1 bedroom, 1 bath apartment. The home is located in San Francisco's Noe Valley, within walking distance to transportation, world-class shops and restaurants. 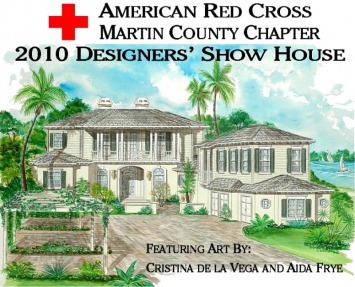 The 2010 Designers' Show House is located in beautiful Sewall's Point, a peninsula community in Martin County, Florida. The waterfront estate home is the first built in River Oak Place, an exclusive enclave nestled along the St. Lucie River and a creation of CD2, LLC. The 5 bedroom, 6.5 bath residence features a study, media room, separate guest quarters and so much more under nearly 7,000 square feet of air conditioned living space. Outdoor features include a private dock with deep water access, a privately landscaped pool, spa and patio, plus an 828 square foot covered stone lanai with a pecky cypress ceiling and summer kitchen. 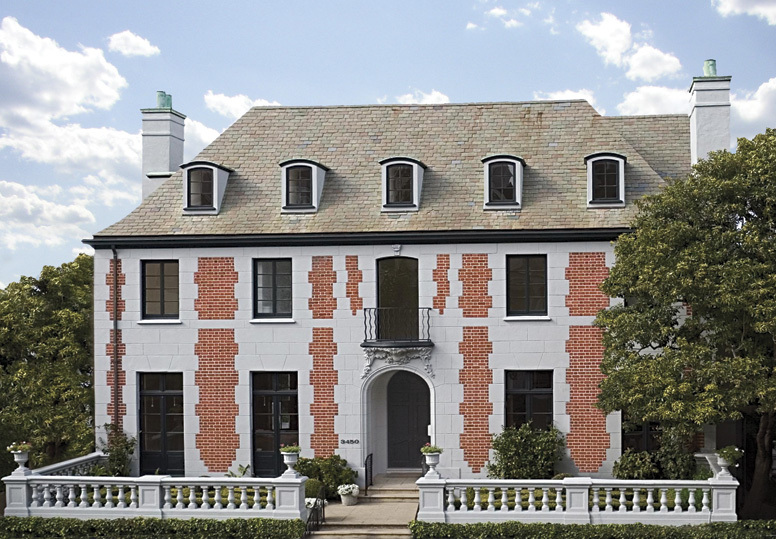 The property is listed for $6.2 million with Sheila Rimer of Water Pointe Realty. 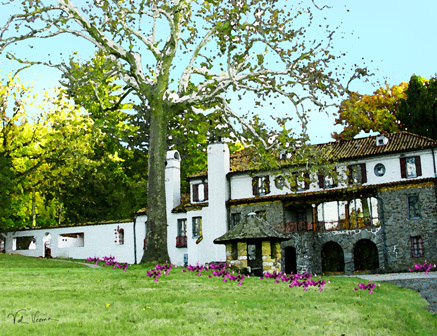 The 2010 Decorators’ Show House and Gardens, located at 4270 North Meridian Street, was built in 1911 by Mrs. Marie Fletcher Hare. It is the oldest existing residence in the historic Meridian corridor. The property for the original house ran from Meridian to Illinois Streets, between 42nd and 43rd Streets, and included stables in what is now the rebuilt carriage house with a paddock at 43rd and Illinois Streets. The house was purchased by Mrs. Hare’s friend, Booth Tarkington, in 1923 for $37,000. Since 1977, the annual San Francisco Decorator Showcase has benefited San Francisco University High School's financial aid program, raising nearly $11 million in its 32 years. The San Francisco Decorator Showcase is widely considered to be the West Coast's premiere design showhouse event, renowned for featuring the work of the region's top interior and landscape designers. Thanks to the generosity of our sponsors, the participation of hundreds of accomplished designers, the school's trustees, parents, faculty, alumni, students, friends, and the thousands of Showcase visitors each year; the San Francisco Decorator Showcase allows San Francisco University High School to offer financial aid to 25% of its students. It is through the community's continued support that quality education has been made available over the past three decades to hundreds of deserving Bay Area students. The 2009 Decorator Showcase raised a record $505,000. A handsome century-old English Tudor revival home, located in Milwaukee’s prestigious North Point neighborhood, has been chosen for the 2010 Wisconsin Breast Cancer Showhouse. Built in 1910 for the daughter of cigar baron Louis Kindling, the 6,621 square foot house was among many prominent homes and public buildings designed by architects Ferry and Clas, including the Milwaukee Central Library, the Pabst Mansion, the Woman’s Club of Wisconsin, and the Cudahy Tower. A Los Angeles Times article, dated October 14, 1948, read "A Pasadena Junior Philharmonic Committee has been formed. Composed of prominent members of the younger set, this organization came into being at a meeting and tea on October 8, in the home of Mrs. John B. Callery, Jr., who has been named president." The committee was formed to raise money for the Continuance Fund (later the Los Angeles Philharmonic Association) to help pay for the Pasadena series of concerts of the Los Angeles Philharmonic. The original 18 founding members met their early donation goals with traditional affairs – a shipwreck party, a casino night, an assortment of bridge tournaments and a television party where guests dressed up like their favorite TV stars, when television was a relatively new phenomenon. In those days, between $3,000 and $5,000 was raised annually.